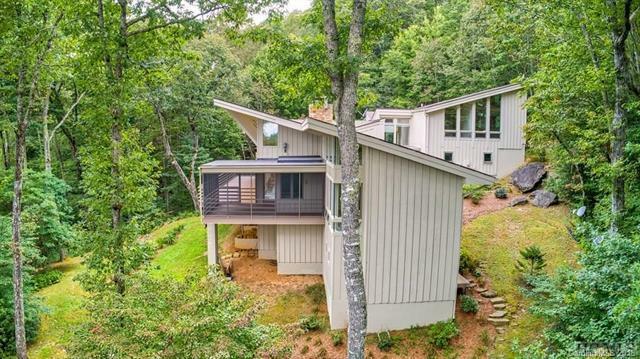 Contemporary Home inspired by Frank Lloyd Wright, located in the highly desirable Big Sheepcliff Community within Minutes of Downtown Cashiers. 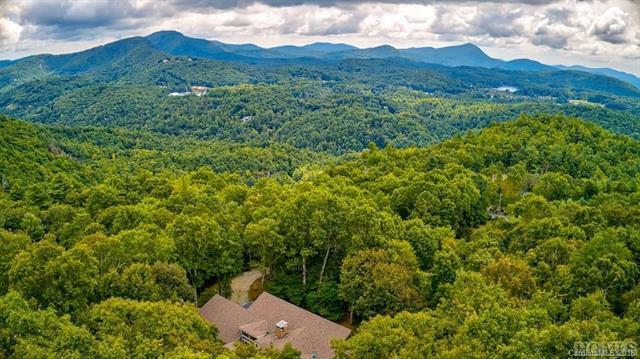 The Property offers Southerly Mountain Views, and a generous and gentle +/- 2.66 Acres allowing your to create your own walking trails thru the property. 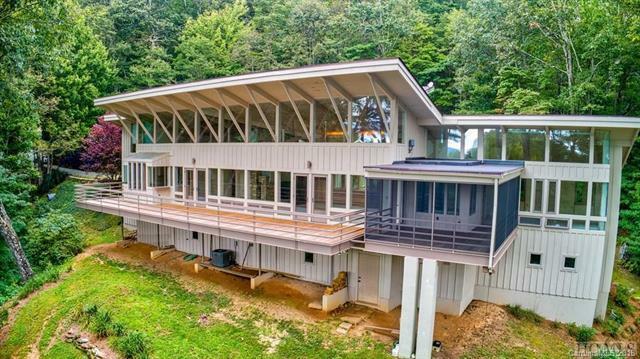 The Home offers vaulted tongue and groove pine ceilings, exposed beams throughout the whole home and a large wood burning fireplace in the living room. 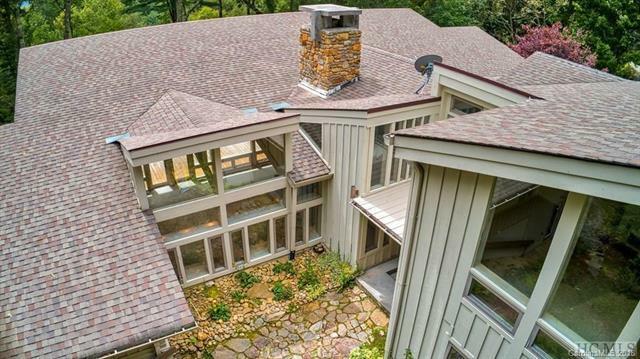 There are floor to ceiling walls of glass in all rooms of the house, allowing for greater natural light to enter the home and enjoyment of views. There is a large master suite and guest suite on the on the main level, spacious loft for office or media location, which then connects with a one bedroom one bath guest apartment with kitchen above the 2 car garage location. Property Borders Green Space.